Is it fair to blame Mike D’Antoni for Kobe Bryant’s injury? What was originally thought to be a star-studded dream season in Tinseltown has instead been a year-long nightmare. Dwight Howard and Steve Nash were expected to join Pau Gasol, Metta World Peace and Kobe Bryant and return the Los Angeles Lakers to NBA dominance. Instead Howard battled through herniated disc surgery and a labral tear. Nash broke his fibula. Metta World Peace tore his meniscus. Gasol tore his plantar fascia. Finally Lakers superstar Kobe Bryant suffered a season-ending Achilles tendon rupture. Surely Jack Nicholson was grimacing under his dark sunglasses. Without question Lakers fans have a right to feel disappointed with the team’s struggles on the court. Is the anger directed at head coach Mike D’Antoni over Kobe’s injury justified though? Despite all of the team’s injuries, the Lakers entered Friday night’s game against the Golden State Warriors barely holding the eighth and final playoff position in the Western Conference. Bryant’s performance clearly kept them alive. In the Lakers’ last seven games, Bryant averaged 28.9 points, 8.4 assists, and 7.3 rebounds. Kobe put up those impressive numbers by playing huge numbers of minutes. Despite his 17 seasons in the NBA, Bryant entered Friday’s contest ranked second in the league in minutes played. In those last seven games, he averaged 45.6 minutes per game. Kobe’s Achilles tendon snapped on a drive to the basket with 3:08 left in the fourth quarter. He had played in every minute of the game up to that point. Lakers fans immediately chose to blame D’Antoni. On the blog Lakers Nation, 54% of respondents believed D’Antoni’s choice to allow Bryant to play so many minutes contributed to the injury. In theory, the idea that fatigue over the course of a game, stretch of games, or a season could lead to a tendon rupture makes sense. The supporting muscles of the leg and thigh would not fire properly, and the sudden stress would fall solely on the Achilles. It makes sense, but there is little evidence to prove it. Achilles tendon ruptures are traumatic events. Players push off suddenly while changing directions or starting a sprint, and the tendon fails. Athletes in their thirties and early forties are common victims. These injuries can occur at any point in games or in seasons. Despite the seemingly logical finger pointing at D’Antoni, many people seem to have forgotten the large numbers of these exact injuries in the NFL two seasons ago. Those Achilles tears occurred in the preseason, largely to first- and second-year players. Lakers fans should consider that if the team had won more games earlier in the season, they wouldn’t be fighting just to make the playoffs. The team could rest its stars like many other teams are doing instead of playing them almost every minute of every game. 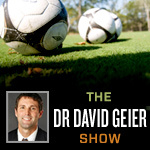 Kobe Bryant ruptures his Achilles tendon: That’s Gotta Hurt segment from Episode 86 of The Dr. David Geier Show. Rather than criticizing how or why Kobe’s injury might have occurred, fans might worry more about how well he recovers. Achilles tendon repairs do heal reliably. But elite athletes often lose pushoff strength. Will Kobe be a step slower driving to the basket? Will he lose some of his explosive jumping ability? Even if Kobe does return to a level of play less than what NBA fans have come to expect, it wouldn’t be fair to blame Mike D’Antoni. Note: The following post appears as my sports medicine column in the April 20, 2013 issue of The Post and Courier. 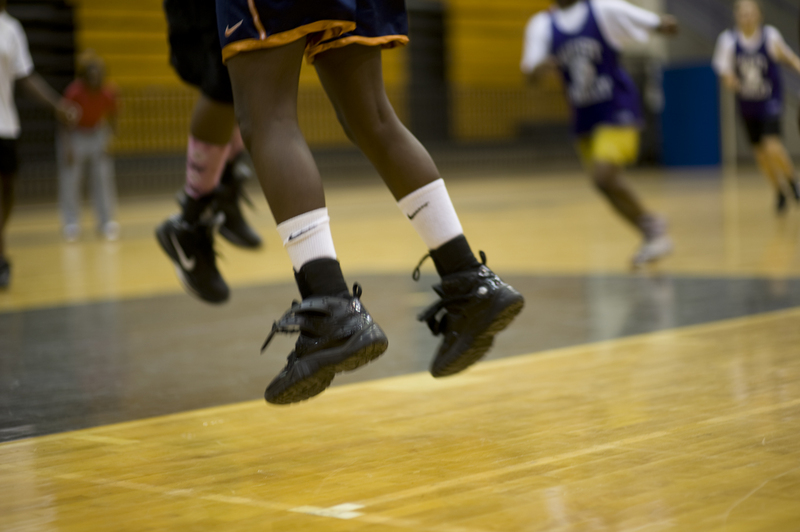 Would eliminating dirty play decrease injuries in youth sports?